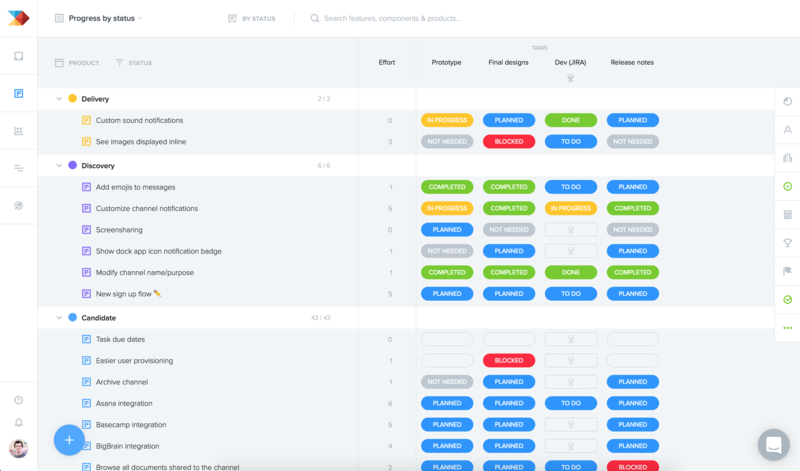 There are nearly endless ways to arrange, sort, and filter your feature ideas on your Features board, but you'll tend to return to a select few board configurations for each of several PM use cases. That's where saved views come in. Saving a view captures the board's current configuration for later reference, or for sharing with others. Saved views are a great help on the Features board which is what we'll focus on here, but they work the same way on the Roadmap! If you're just starting out, you'll notice that any change you make to your Features board gives you a new option to update the existing view (Save), save the current configuration as a new view (Save as new), or revert to the last saved version of the view (Discard changes). That includes the way features are grouped (Sorted list, By hierarchy...), any columns currently showing, and any filters applied. That last one is key. It means you can have many product managers working out of the same Features board, but with their owns views that filter for just the features they manage. Feature data itself is not captured in the view, so any changes to a feature's status, release, or driver score will have no impact on saved views, and vice versa. Also note that any changes to a view must be saved in order to be retained when you navigate away from productboard or refresh your browser. 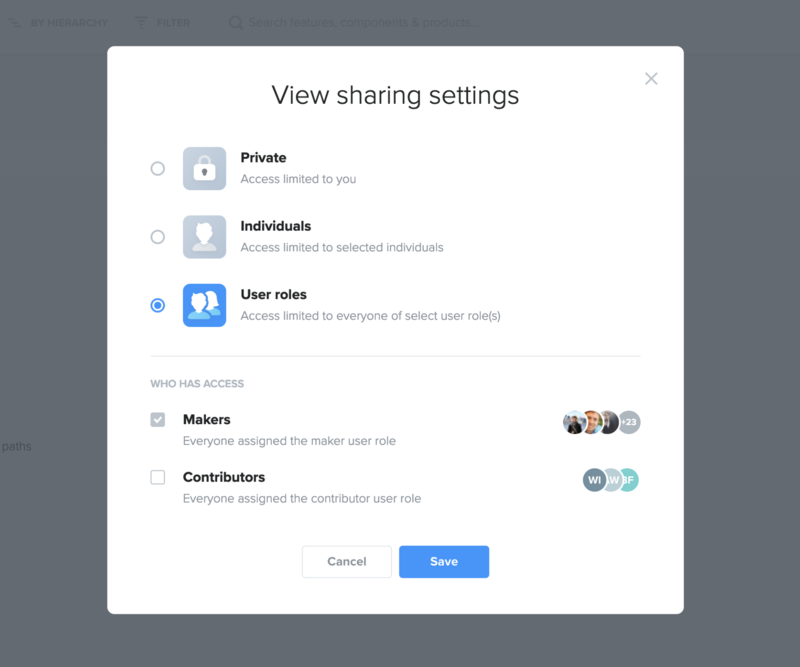 Custom sharing settings for saved views is available on the Team plan and above. Select the icon besides a view's name to update its sharing settings. You can share a view with all makers, or with everyone invited into your project with access to the Features board (contributors). You can also share a view with just a select few colleagues, or make it private just to you. In any event, sharing a view with others means it will show up in their list of views as well. Contributors can't update views shared with them, nor can they create new views. Makers can update views shared with them, and any changes they save will be visible to all. If you'd like your changes to a view to be saved and reflected for all, make sure to save them. Otherwise they'll be treated as ad hoc changes and discarded when you navigate away from productboard or refresh your browser. 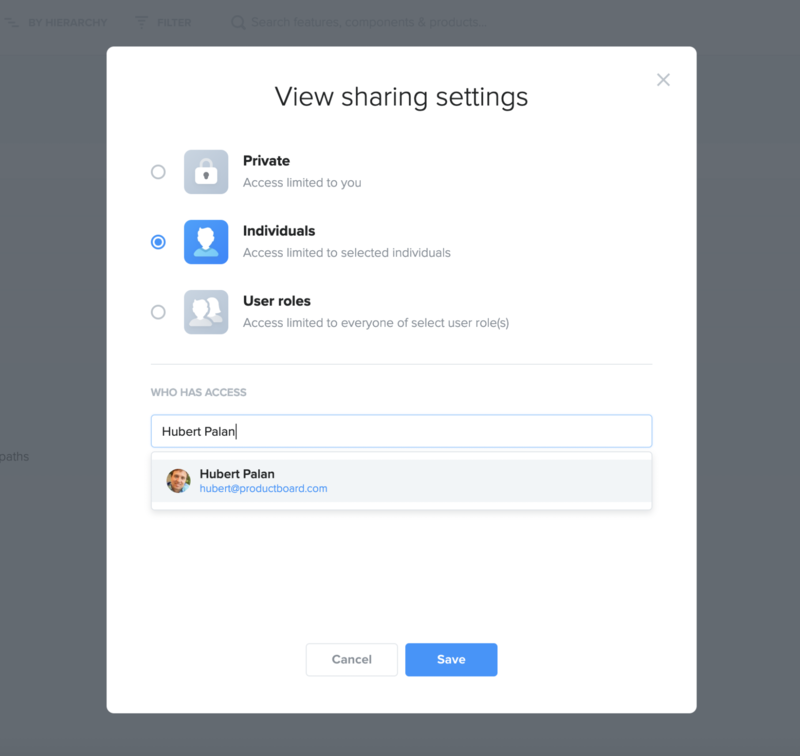 In productboard, you can customize the sharing settings for individual fields like particular objectives, tasks, or drivers. 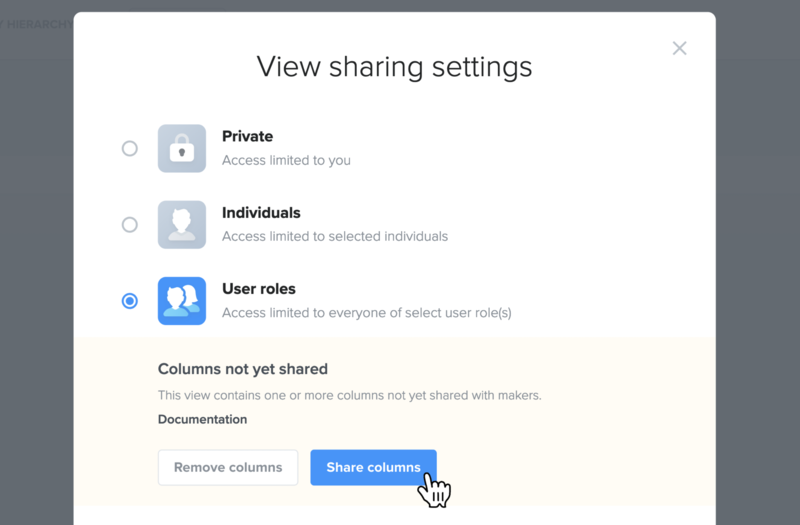 If you try to share a view that contains one or more fields not shared with the same audience (contained in filters, or displayed as columns), you'll have the option of removing them or else updating their sharing settings. Additional configuration options are available in your saved view list. From here you can rename or delete a saved view. These changes will immediately be reflected for all with access to the view. Use a Top requests view to review recently-requested features that one or more people have indicated are important, critical, etc. 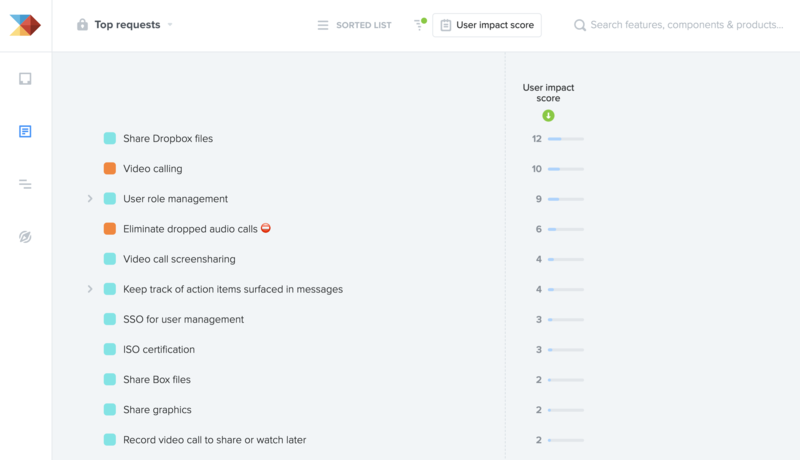 For this view, the board is arranged as a sorted list, with a filtered User impact score column. 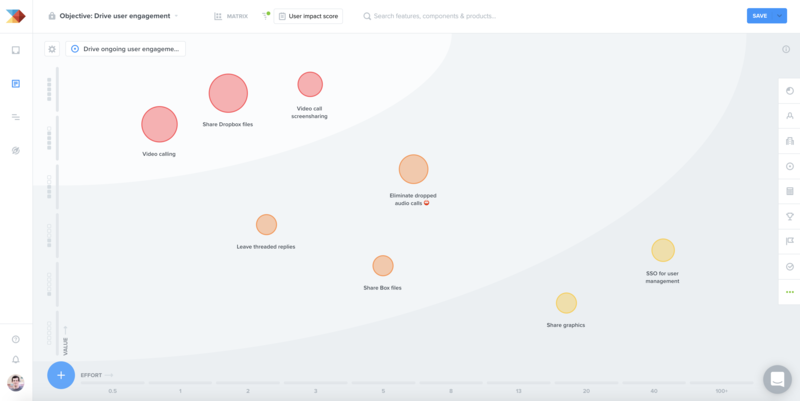 Use a Market needs view to capture feature ideas in your product hierarchy and begin surfacing those that best address the needs of particular people, companies, and segments. 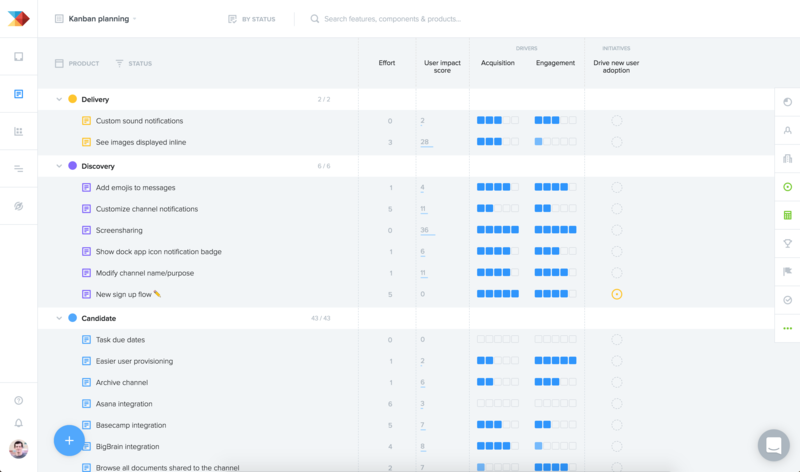 Use a Feature prioritization view that arranges your board as a sorted list, based on each features' User impact score or Prioritization score. Then add features to initiatives or upcoming releases. 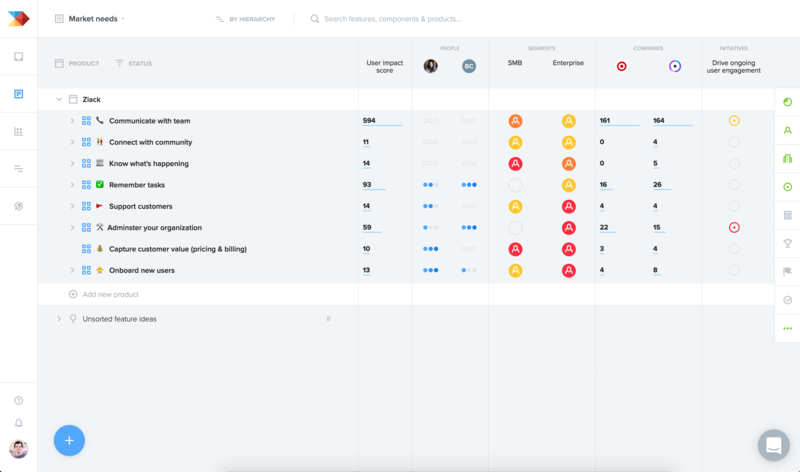 On the Features board, use the matrix to evaluate the priority of features within each of your most important important objectives, save each as their own view that you can return to at any time. Use a Release planning view that arranges features by the release they've been added to. The effort column helps you keep track of the estimates you've attained for each feature and drag 'n drop them between releases accordingly. 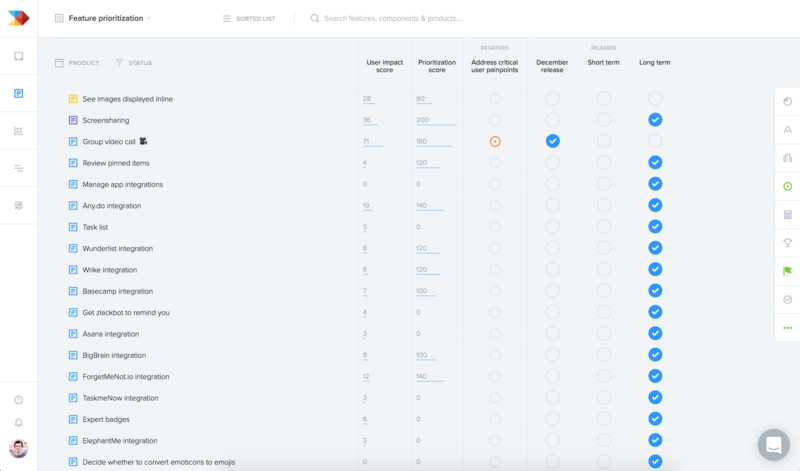 Additional data columns help you reference some of the key prioritization criteria that could help you decide what to build now versus push back to deliver later. 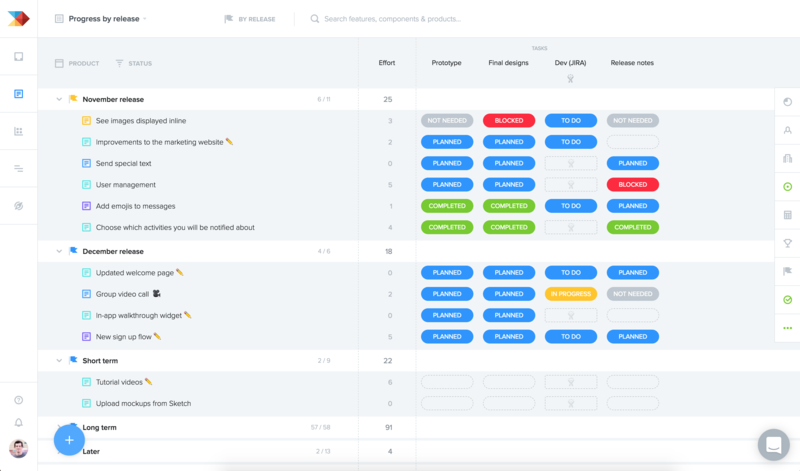 Use multiple release groups to coordinate work across multiple teams using different release schedules, or to capture information on when features will be delivered in addition to when they'll be launched (from a marketing standpoint). 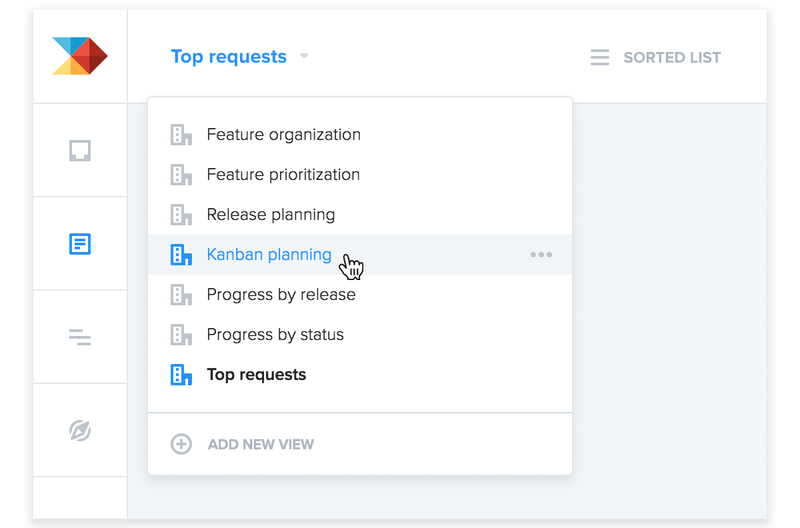 If your team adheres to kanban or continuous delivery rather than set releases, use a Kanban planning saved view to see your features arranged by their current status. Track features as they flow upwards from new idea to launched. 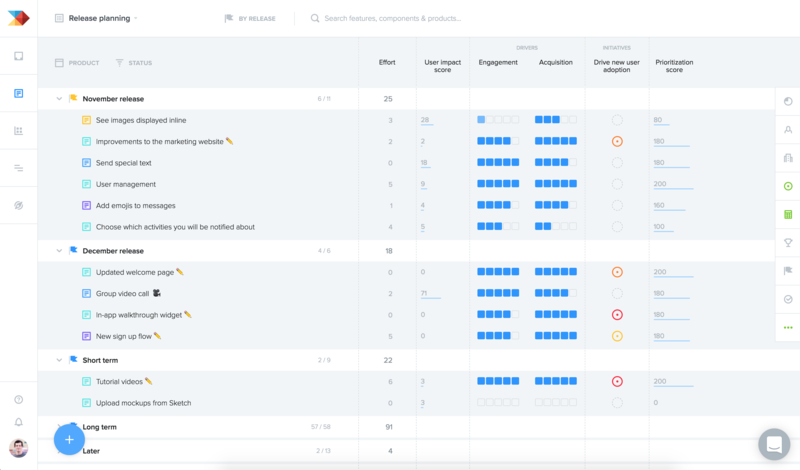 Show additional prioritization criteria to help you decide which features to promote from one status to the next. Once you're ready to move forward with your plans, you'll want a way to track each feature's progress toward delivery. Use a view arranged by release with Task columns showing to track tasks that must be completed before a featue is delivered. For kanban teams, use a progress by status view, similar to the view described above but arranged by status. Q: Why can't my colleagues see the changes I just made to a saved view? Any changes you make to a saved view will only be updated for all to see when you save them. Otherwise they'll only be visible to you and will be discarded when you navigate away from productboard or refresh your browser.